Samsung is set to unveil the Galaxy Note 4 on September 3 at IFA in Berlin, Germany. It seems that the Galaxy Note devices are always some of the most hyped unveilings each year, thanks to Samsung’s ability to throw in the latest and greatest hardware/software additions unlike any other OEM. There are already a lot of great rumored specs for the Galaxy Note 4, so making it better with a few things I would like to see is actually quite difficult. So far, the Galaxy Note 4 is rumored to come equipped with a 5.7″ QHD display, Snapdragon 805 processor, 4GB of RAM, 16MP rear-facing camera, and all of the other top of the line goodies you would expect from a flagship device. How do you make a device with all of that better? During my time reviewing phones, I have found that there is always something I can gripe about. Whether it be a phone’s camera, battery life, or a number of other things. The Galaxy Note 4, apart from its large size for a number of potential buyers, may be the exact Android phone that people would have dreamed about a few years ago. Four years ago, if we were talking about a phone being released with a QHD display, 4GB of RAM, and a 16MP camera, it might have been hard to believe considering all we had was the “OG” DROID and a handful of other low-powered devices in our pockets. Now it’s 2014, and Samsung is getting ready to launch a phone that might be the absolute pinnacle of what a smartphone should feature with regard to hardware. So, to answer my own question, Samsung need only focus on a few minor areas for the launch of the Galaxy Note 4. Over the course of its existence, TouchWiz has morphed from a helpful OEM skin into an annoying, bloat-ridden catastrophe. At first, Samsung added in new colors for Android, threw on a few system toggles in the pulldown menu, and basically succeeded at making Android a more respectable mobile operating system. Now, over the course of the last few years, it seems that Samsung has had no issue throwing in pointless feature after pointless feature for the sake of being able to market them. 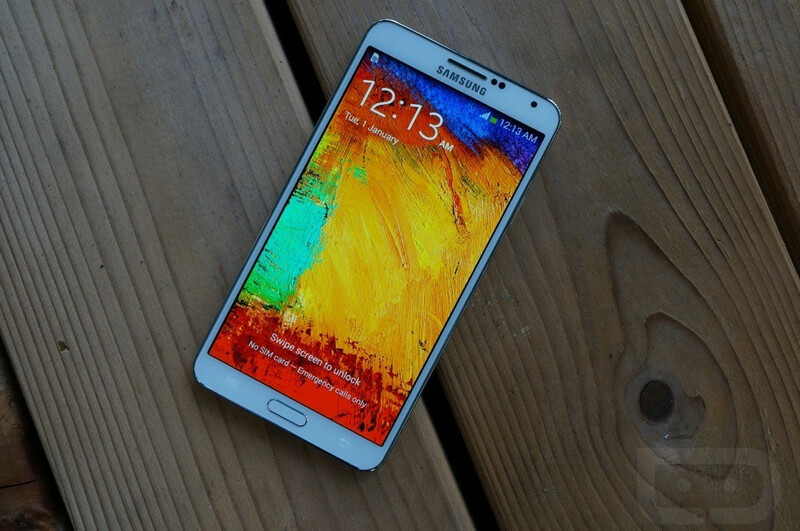 For example, the Galaxy Note 3 came with 3GB of RAM and a Snapdragon 800 processor. By no means should a phone pushing just a 1080p display with that much horsepower see any type of lag or stuttering, but thanks to TouchWiz, the phone does see performance drops here and there. For anyone who owns a Galaxy S5, you have also undoubtedly come across a few performance hiccups here and there, and even though that device features top of the line specifications as well, Samsung found a few ways to make the device lag quite frequently with TouchWiz, especially while playing games, switching between apps, and also while opening up that useless My Magazine application from the home screen. My main hope is that Samsung will soon realize that adding in a ton of proprietary software just isn’t all that necessary. While I do see the benefits from a handful of Samsung’s additions, such as Multi Window and even S Health, I would not mind to see Samsung start completely from scratch, go over each and every single added-in piece of software, and then think long and hard to determine if it is actually necessary to put on the device. From the reported photos we have seen of the Galaxy Note 4, it looks as though Samsung may incorporate a bit more metal into their design, while sticking with the faux leather backside. To me, the addition of metal siding, depending on how much is used, could add quite a bit of overall weight to the device. Often times, when you are on a long phone conversation or holding your phone in hand for an extended period of time, heavier phones tend to make your arm tired. I’ll be honest, I experienced a somewhat tired arm after a 45 minute call on the HTC One (M8), which only seems to get heavier and heavier as a call continues. That’s annoying. Since the Galaxy Note 4 is already quite large, I hope Samsung keeps the weight of the device in mind, pairing the metal siding and insides with more lightweight polycarbonates when possible. To sum it up, it would be cool if Samsung finds that perfect ground between overall size, weight, and in-hand feel. When I was using the Galaxy Note 2 and the Galaxy Note 3, I don’t think I ever needed to pull out the stylus. Personally, I don’t see anything useful about handwriting on a phablet device, as it just does not feel like a natural surface to write on. I find it much easier and efficient to simply type my notes, so I would like to see Samsung add new S-Pen stylus features. For example, one feature I would like to see added to S-Pen is the ability to use it as a remote camera shutter button. You could place the phone up somewhere away from you, then press on the stylus’ button to snap a shot, instead of needing to set a timer like folks did in the old days. In addition, and I realize Samsung would need to pair with developers for this to work, but creating a game that properly uses the stylus wouldn’t be a bad idea. I’m no game designer, but I am sure someone out there could come up with something cool for a stylus. Like a drawing game or tracing game that takes advantage of Samsung’s hardware. That could be very neat for those who enjoy artsy games, such as Draw Something. To give a tangible example, I applaud NVIDIA’s addition of the Dabbler app on the SHIELD Tablet for the content creators among us, and the tons of work the company put into making that a serious drawing application. Besides my overall growing distaste for TouchWiz, I think the Galaxy Note 4 has the potential of being one of Samsung’s best phones ever released. Would I abandon the LG G3 as my daily driver for the Note 4’s larger QHD display, though? Assuming Samsung has effortlessly worked on its design for the device, making the 5.7″ screen feel better in hand, I am most certainly up to give it a shot. Besides, I miss being a part of the Note cult. Is there anything in particular you would like to see from Samsung for the Galaxy Note 4? Kellen recently posted five things he would like to see from the next Moto X. Be sure to check that out.